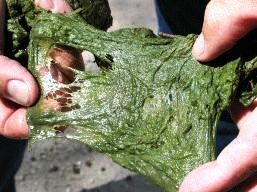 Filamentous Algae Known as “pond scum”, filamentous algae forms greenish mats upon the water’s surface. 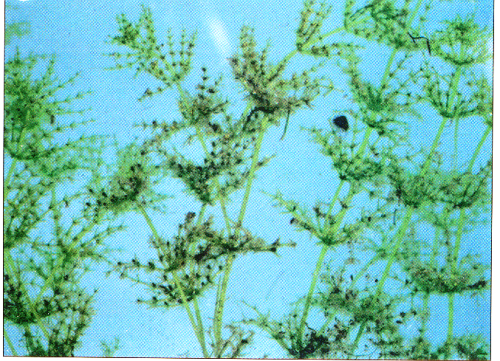 It typically begins its growth along the edges or bottom of the pond. Has a thread-like appearance, due to the fact that a series of cells join ene to end. 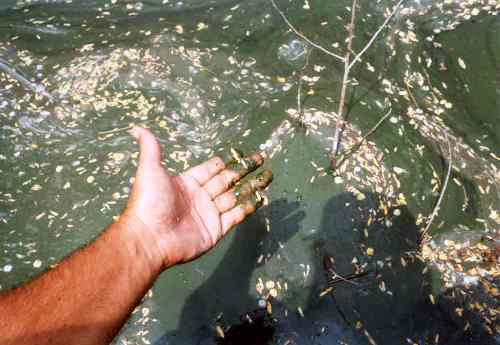 Planktonic Algae: Planktonic algae are microscopic plants, usually suspended in the upper few feet of the water. It appears as a “pea green soup” or brownish in color. Chara: Chara has a leaf-like structure around a hollow stem. Dense growth is attached, but does not root to the bottom. Mineral deposits on the weed surface can give it a gritty texture. Has a strong musky odor when crushed.